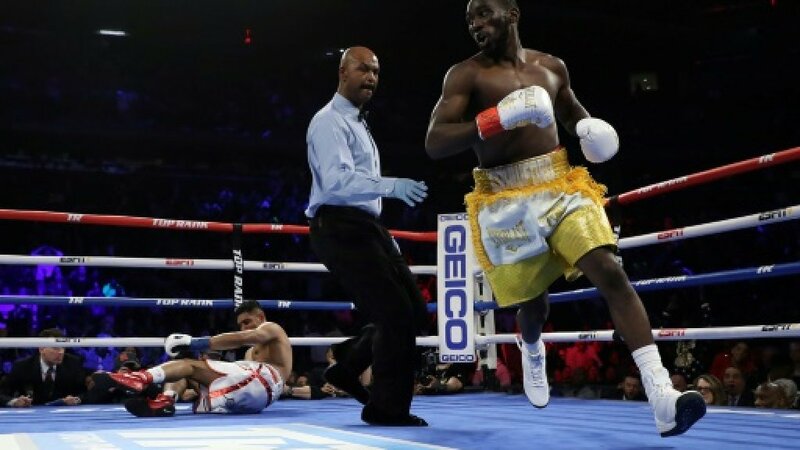 Terence Crawford had little problems retaining his WBO welterweight title via corner stoppage in the sixth round over former junior welterweight champion Amir Khan, but the problem that Crawford may not be able to climb so easily are still to come with the inter-promotional problems that threaten to choke boxing and its fans like the plague. I thought Khan's speed could trouble Crawford and on the occasional time, it did, but those occasions appeared far too seldom for the Englishman and the real surprise came in the first round when Crawford, not known for getting out of the blocks quickly, dropped Khan with a left that was preceded by a right that appeared to do most of the damage. Crawford nearly finished the fight there, but Khan avoided another knockdown with a well-placed grab and made it to the bell before being hurt and surviving again in the second. 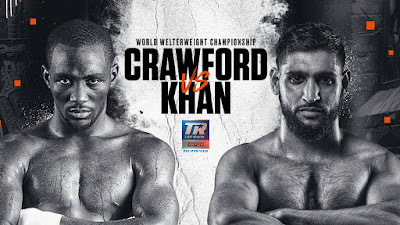 Khan had a few good moments in the third and especially the fourth, but the fifth round saw Crawford landing hard punches that had Khan wincing and shaking his head and usually that means the end is near. And it was, but in a less meaningful way than most had hoped as Crawford cracked Khan with what was either a low blow or a shot to the inner thigh (and depending on your angle, it could have been either) that saw Khan taking some of the allowed recovery period before trainer Virgil Hunter decided to intercede and surrender for his fighter from the corner. 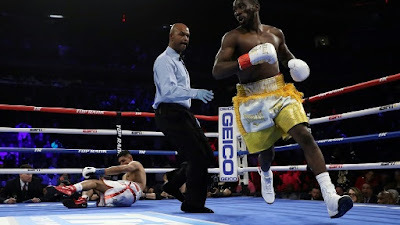 Hunter's decision saved Khan from additional punishment but cost Crawford and fans a conclusive ending, not that is his job to worry about those things, but still an unsatisfying ending, if not an inevitable one. Khan simply doesn't have the chin to compete with world-class welterweights and maybe not even those a notch below as his knockdown against trialhorse Samuel Vargas showed in his previous fight. Yet, Khan would be unlikely to make 140 pounds again in a return to junior welterweight and may be caught in limbo, where his best option might be to make the fight that U.K. fans have always wanted against Kell Brook. A Khan-Brook fight would put dollars into both men's coffers, even if the fight is too late to determine which was truly the better fighter in their prime and I'm hoping that Terence Crawford and Errol Spence don't look back in a few years and wonder about themselves as well. Crawford-Spence is the best fight that boxing can make and Spence's claims that in-house options to unify his IBF title with are preferable (WBA champ Keith Thurman and WBC kingpin Shawn Porter) to a Crawford unification and I understand those are easy fights to make. I would even be OK with Spence and Crawford hooking up in a year- IF you would make me this deal- Spence's next two fights are against those two PBC comrades while Crawford fights whoever he can match up with and those guys aren't going to be as interesting as Spence's competition certainly would be. I'd be willing to wait under those conditions, no others. On the Crawford-Khan undercard, Teofimo Lopez dominated Edis Tatli for four rounds and then stopped the former world title challenger with a right to the body that sent Tatli to one knee for the ten count. Lopez claims he wants a fight with Vasyl Lomachenko in the next year before he leaves the lightweight division, but Lomachenko's claim is only if he holds a title will that fight take place. A Mikey Garcia bout for the WBC title is unlikely, but should Garcia vacate the title, which is possible, Lopez could be in line for a fight that fills that vacancy, but an IBF title fight vs Richard Commey would be easier to make. Commey would likely make more money for Lomachenko and a unification event so Top Rank will have to pay up for Commey to fight Lopez instead. Shakur Stevenson cruised to a unanimous decision over Christopher Diaz. I haven't watched this fight yet, but Stevenson is reported to have dominated Diaz in winning by eight, nine, and ten points on the scorecards. I'm not sure Stevenson doesn't need more seasoning before fighting a champion at featherweight, a division that possesses four strong champions, but he seems to be on a fast track for a title fight within the next year or so. Felix Verdejo's star may have dimmed since his days as a top prospect, but he at least added a little shine with a unanimous decision over Bryan Vasquez. Verdejo never hurt Vasquez, but his jab was impressive and his combinations at least brought back memories of what Verdejo was thought to be before various problems caused inactivity and his first loss. It will be interesting to see if Verdejo is challenged with another step up in competition or if he fights another boxer on the level of Vasquez, who is solid, but not quite top ten class. I scored Verdejo a 97-93 winner on my card. Meanwhile, Mr. Al Haymon, whose name was mentioned as much on social media during the Top Rank card due to the Crawford-Spence talk, and his PBC were outside on Fox and FS1 from Carson California. The PBC main event saw former WBC welterweight champion, Danny Garcia return to the ring for the first time since a September loss to Shawn Porter for the vacant title and looked very strong in taking out durable Adrian Granados in the seventh round. Granados won round one with his trademark aggression, but Garcia knocked down Granados twice in the second round with overhand rights that it seemed that everyone could see coming but Granados. It was all Garcia from there as he never was threatened despite Granados' efforts otherwise. Garcia sent Granados to the mat in the fifth and finished him off in the seventh as Garcia battered Granados along the ropes forcing referee Thomas Taylor to end the bout. For Garcia, it was an impressive return, albeit against a fighter made to order for Garcia, who generally scores knockouts against fighters a step below the elite, but rarely stops an elite one. Garcia would be well suited to fight again soon, but similar to many in the PBC, he simply doesn't fight often enough to stay in the minds of fans. Garcia has been on both sides of close decisions in his career and has never been outmatched in any of his fights, but putting Garcia against any of the four champions have that been there done that feeling, which is logical considering that he has already fought two of them (Thurman and Porter) already. Granados is simply physically overmatched at welterweight and if he can make the weight, would be competitive against anyone at 140 pounds. Former heavyweight title challenger Andy Ruiz made his PBC debut a successful one in winning every round against Alexander Dimitrenko before Dimitrenko's corner stopped the bout at the end of the fifth round. Don't give Ruiz too much credit though, as Dimitrenko seemed so dispassionate in his performance as any heavyweight in the top 100 could have dominated him on this night. Dimitrenko's effort was a surprising one, considering his brave battle against Bryant Jennings in his previous bout, but if this is all that he will offer in the future, he should consider retirement. As for Ruiz, who has just one loss to Joseph Parker, he has always shown ability, but a lack of activity along with a tendency to stay in shape has been a constant companion to him. Should those things change for Ruiz, he could still be a viable contender and on the PBC side, I'd be very interested in a Ruiz-Adam Kownacki pairing. Brandon Figueroa won a minor junior featherweight jewelry piece when Yonfrez Parejo was unable to continue after the eighth round. The bout was filled with good exchanges in the first three rounds, but the bigger punching Figueroa began to grind Parejo down thereafter and avoided the counters that Parejo landed earlier in the fight. I had Figueroa ahead after eight rounds 78-74 and I had the feeling that this fight might have ended before the final bell anyway, so the point may have been moot. WBA-IBF unification between Daniel Roman and T.J. Doheny. Another minor belt was handed out on this card with an untelevised fight (Why that was is beyond me since it seemed like they were showing every fight down to ten years in the L.A. area) in the bantamweight division as former IBF flyweight champion John Riel Casimero knocked out Ricardo Espinoza in the twelfth round to win this title, which basically puts him into bantamweight contention. As noted, I haven't seen this-Casimero knocked Espinoza down in the fifth and again in the final round before the fight was stopped. Entering the final round the fight was on the line as each fighter was ahead by two points on one judge's card and the third judge had the fight even. In the boxing challenge, I outscored Ramon Malpica 15-14 to increase my lead to 94-85.
two points from Terence Crawford, Shakur Stevenson, Teofimo Lopez, Felix Verdejo, and Andy Ruiz. The inbox still needed a little more sifting through in order to consider it cleaned for a while and after the last cleaning, I was able to set things up to make this one a non-sports version. We start with two passings from outside the sports world with the word of the death of Charles Van Doren at the age of 93. Van Doren, the Columbia professor, who famously received the answers to the questions that would be asked on the 1950's quiz show "Twenty One" beforehand and was subsequently disgraced passed from natural causes in Connecticut. 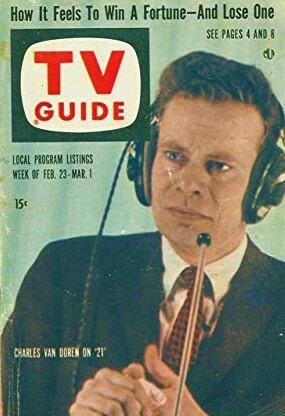 The scandal would be developed into the film "Quiz Show" that focused mainly on Van Doren, the opponent that he defeated, Herb Stempel and congressional investigator Richard Goodwin and the status of television during the fifties. Before the Robert Redford produced film, PBS did an "American Experience" documentary, which I thought was even better than the film, which as most films are, was embellished for the purposes of the film. Van Doren lost his job as a TODAY show correspondent and would spend the remainder of his career working at the Encyclopedia Brittanica writing and editing books often using a pseudonym as well as a return to teaching later in life. Van Doren rarely discussed the scandal but finally commented in a large reminiscence in the New Yorker in 2008. Goodbye to Scott Walker at the age of 76. Walker, who first gained prominence with the Walker Brothers (none of the brothers were actually related) in the late '60s with various hits such as "The Sun Ain't Gonna Shine Anymore' being the highest on the U.S. charts, would move away from not only pop music, but even contemporary music. preferring to make more experimental and progressive cuts instead. Walker's takes on some classic tunes range from interesting in a good way to wondering why someone would even think of releasing this, but Ryan has always been a huge fan and I've recently been listening to some of his non-pop work, some of which I've enjoyed a great deal and others... well not so much! Walker would have his own television series in Great Britain and is unusual for the small amount of footage that is available. Even then, music programs would often be archived for future use, which is why we have so many terrific performances from the various ages of television and I'm surprised that the Walker series is bereft of material. The title of the link above from Billboard may have said it best- Scott Walker changed the face of pop music by turning his back on it. The Guardian brings word of Ken Lawson of Australia, who as an amateur photographer and astronomer nails the perfect shot of the International Space Station crossing the face of the Moon. It appears that Lawson just got lucky with the photo on March 14 with his telescope and camera, but alas it took plenty of planning, patience and practice as Lawson says that he had attempted to get it right for over eight years before he finally snapped the picture on a rare pass near his home that he says occurs about as often as a solar eclipse. Joe Plum sent me this link to the website Yupitexists.com offered up this fastball on Pestalotiopsis Microspora. Well, it's a mushroom that can eat plastic! I would imagine this won't be on a large scale in my time, but imagine the possibilities of removing plastic from the environment and generating an edible product? In controlled conditions of testing, the mycelium breaks down the plastic and in a few weeks, the plastic is gone and in its place? A mushroom brought to you by your friends in nature. And we wrap up with 13th Dimension and their ratings of the top 13 Batman action figures ever made. One would think we could not pass that up and we didn't! How many do we own? Two. How many are on the list to buy? Three. With that, the inbox is now scrubbed clean for a while. Coming soon, last weekend's road trip to Lexington, tonight's Crawford-Khan bout and early next week, some thoughts on the draft for the Browns and a rare draft day without a first rounder. It's a big weekend in the boxing challenge as the first of three big fight weekends in a row begins with eight fights in the challenge. The biggest fight of the weekend is with ESPN on Pay Per View as Top Rank presents arguably the top fighter in the world today defending his championship. It depends on who you ask on the topic of the best fighter for their answer, but there would be some that would give the answer of WBO welterweight champion Terence Crawford, who defends that title against former junior welterweight champion Amir Khan. I'm not as down on this fight as many are. Khan has skills, he hits with some pop, he's an underrated boxer and he'll take chances and fight anyone put in front of him (except countryman Kell Brook for some reason). Khan has one problem- an unreliable chin that has seen him on the floor more often than you can count off-hand and has been knocked out three times. I doubt Khan's chin holds up in this one either as I think he'll win a few rounds and be in the fight for the first half before Crawford turns up the heat and finishes Khan in the second half. The top three undercard bouts all are part of the challenge with two of Top Rank's top prospects in action and a fighter that was once thought to be a future star but fizzled out in orbit. Featherweight prospect Shakur Stevenson faces a strong test in former world title challenger Christopher Diaz, while the electrifying lightweight Teofimo Lopez battles another former title challenger Edis Tatli. Stevenson seems to have the tougher test of the two, but I expect both to emerge victorious in their matchups. Felix Verdejo was once a rising star on the same level as Lopez and Diaz before out of the ring problems and injuries forced him out of the ring for far too long, followed by being knocked out in his return by Antonio Lozada in the final round, when he only had to survive to win a close decision. Verdejo has won one squash since, but he's matched well against veteran Bryan Vasquez, who has fought many top opponents but beaten few of them. It'll be interesting to see how Verdejo looks in this one. While to see the above fights will cost you eighty dollars on PPV, the PBC counter-programs with a free slate on Fox. The main event is an interesting pairing between former welterweight champion Danny Garcia and rugged Adrian Granados. Garcia lost a decision for the vacant WBC title to Shawn Porter last year for the same title that Garcia lost to Keith Thurman, who had vacated that title during one of Thurman's eight-year layoffs. Granados lost to the same Porter in his last major fight and has fallen short against his best opponents, although his loss to Adrien Broner could have gone to either fighter. Heavyweight Andy Ruiz returns against Alexander Dimitrenko in a crossroads bout. Ruiz has had problems with weight and staying in shape, but has fast hands when at his best, while Dimitrenko fought well before being stopped in the ninth by Bryant Jennings in his last fight. Two minor titles are on the line with talented banger Brandon Figueroa facing Yonfrez Parejo in a junior featherweight bout in one while former flyweight champion Johnriel Casimero will fight Ricardo Espinoza in the other for a bantamweight trinket. Figueroa should be favored over the veteran Parejo and a stoppage would be impressive as Parejo took former bantamweight champions Ryan Burnett and Zhanat Zhakiyanov the full distance in losses. Casimero holds knockout wins over current WBC flyweight champion Charlie Edwards and knocked out Amnat Ruenroeng to win the IBF flyweight strap, but is untested at 118 pounds. while Espinoza has 20 KO's in his 23 wins, but in facing Casimero is taking a jump in class. In the boxing challenge, I lead Ramon Malpica 79-71. The inbox purge continues with more notes of interest as the sports world brings the links for this cleaning. We start with the Athletic and their Buffalo branch with an article on Jim Kelly and his time with the USFL's Houston Gamblers. Matthew Fairborn talks to all the players in the gambit that brought Kelly, who was seconds away from signing with the Bills in their offices, to Houston with the Run and Shoot offense that set all sorts of passing records. I also learned something that I didn't know about Kelly and backup Todd Dillon. I knew the Gamblers signed Dillon as a fellow rookie, but what I didn't know is that the team was having problems with Kelly buying into the offense, signed Dillon specifically to challenge Kelly's competitive spirit and if Dillon beat Kelly out- so be it, which led to a Kelly outburst in the office of team owner Jerry Argovitz. This might be the most comprehensive article that I've ever read about this period of Kelly's career and if you are a USFL or a Mouse Davis. June Jones or Run and Shoot offense fan, this is a must read! The New York Times writes of the massive, encompassing and increasingly obsolete boxing on VHS collection of the late Bela Szilagyi, who compiled over 55,000 fights on over 8,000 tapes. The collection is still being updated by his widow and she's looking to sell, but the aging format is working against it in the digital age. The collection was once used by fighters and trainers to prepare for bouts, networks that needed footage for broadcast or even boxing junkies such as yours truly to just step back in time before the days of YouTube. Szilagyi was a concert pianist and you don't usually think of concert piano and boxing having crossover fans, but this article is more than boxing. It's just as much as about a man's love for the sport and a wife's love for her husband that she doesn't want to let go. It's a piece that hits home for those of us that know the feeling of unconditional love from one's spouse. 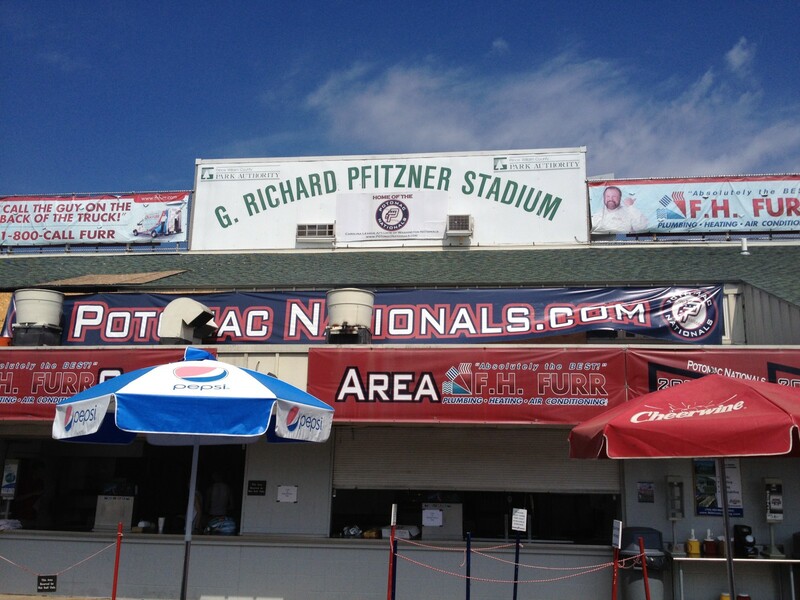 Battlin' Bob sends this article from Deadspin on the final season of baseball at fading Pfitzner Stadium in Woodbridge, Virginia, where the Potomac Nationals of the Carolina League are wrapping up their tenure there before a move to Fredericksburg next season. Bob said of the "Pfitz" that he never knew how much it looked like Hagerstown's Muni and there are similarities despite Hagerstown Municipal being already 54 years old when Pfitzner was built. Getting from Hagerstown to Woodbridge can be quite a grind, but reading this makes me want to make one trip to Potomac to say goodbye. I've been there a few times, but not enough to develop a real connection with the place. Perhaps there is room for just one rundown, badly kept stadium in my life! Ha Ha! It's another good story of a long time fan saying goodbye, even if it is goodbye to a place that is long past its prime. their new home is in the area, not far away. Yahoo writes of the rising career of Top Rank's Crystina Poncher, who has developed her skills in boxing broadcasting to move up to commentating in both the play by play and color roles on ESPN+ undercards and as a reporter on the featured events. Poncher is the first woman to perform in the play by play role in boxing and is quite good, although she's still learning that role. I've always liked her work and it'll be interesting to see how she continues to improve in calling boxing along with her hosting and interviewing work. We finish with the Athletic again with an article on NBA veteran Jerry Stackhouse, who was recently hired as the head coach at Vanderbilt, despite never coaching at all in college. Stackhouse apparently still laces the sneakers up and practices with his teams as he did this season as an assistant with the Memphis Grizzlies. Stackhouse apparently emphasizes defense and slows the game down, which surprised me considering Stackhouse's skills in the open floor as a player. Stackhouse seems to be highly thought of by the players and coaches that have worked with him, but players that try college jobs with only NBA coaching experience have failed more than succeeded, Clyde Drexler at Houston, Sidney Lowe at N.C, State and most recently Chris Mullin at St.John's come to mind off the top of my head. The inbox is bulging at the seams and there have been enough recent passings from the football world to give the gridiron losses their own post. Goodbye to Forrest Gregg at the age of 85 from Parkinson's Disease. 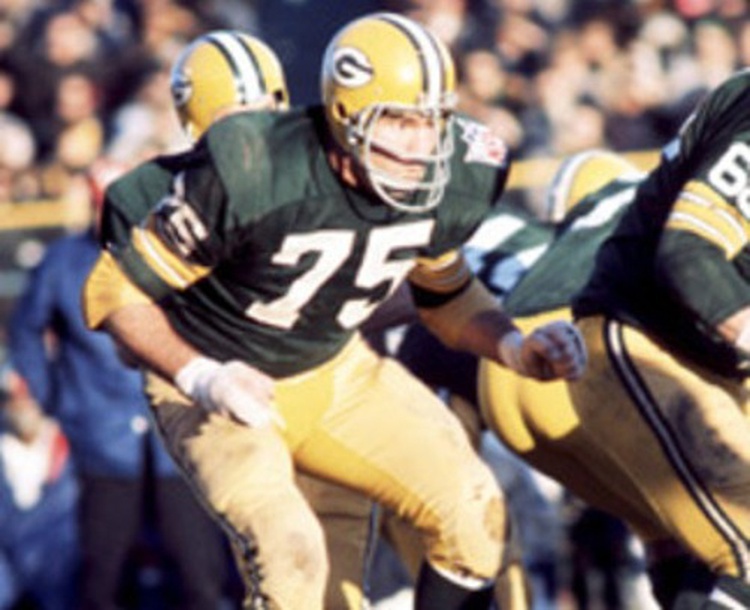 Gregg, who was once described by Vince Lombardi as "the finest football player I ever coached" entered the Hall of Fame in 1977 after a sixteen-year career at tackle for Green Bay and Dallas and winning six championships over his career, five of those with the Packers. Gregg dominated at tackle but was versatile enough to play guard as well and even center in a severe pinch. In so many of those wonderful pictures from the 60s that show the power sweep with Paul Hornung or Jim Taylor running around the end, it is usually Gregg or Jerry Kramer (or both) clearing the way for the famous play of the time. Gregg's playing days were over by my day, but I saw Gregg coach the Browns and Packers (unsuccessfully), and the Bengals (took them to their first super bowl) along with two CFL stints in Toronto and Shreveport (Shreveport in the CFL still makes one wonder about that idea) before leaving the Packers ( I doubt that they were trying too hard to keep him after seasons of 4-12 and 5-9-1) to rebuild his alma mater SMU after the Mustangs were hit with the only "Death Penalty" in division one football. Gregg had suffered in recent years from Parkinson's and his family has donated his brain to see how much football's blows had contributed to his Parkinson's.issues. Goodbye to Clem Daniels at the age of 81. Daniels, a hard running fullback that played for three teams, but spent the bulk of his career with the Oakland Raiders, before finishing his career with one season with San Francisco after the merger was agreed to. Daniels was a four-time AFL all-star, the 1963 AFL MVP and finished his career as the all-time leading rusher in the American Football League with over 5,000 yards on the ground. Daniels was also a key member in the AFL player boycott in 1965 of their All-Star game and forced the move from New Orleans to Houston after racial mistreatment of players in Louisiana. Goodbye to Johnny "Lam" Jones at the age of 60 from cancer. Jones was the second overall pick of the 1980 NFL Draft by the Jets, but only lasted five less than distinguished seasons in the league. Jones was a standout at Texas though as a standout at running back and wide receiver with world-class speed. The term "world-class speed" is often overused as a generic term for a fast player in football, but Lam Jones truly possessed world-class speed as he was part of the four-man gold medal-winning team in the 100-meter relay in the Montreal Olympics in 1976. Jones also was in the finals in the individual 100 meters in Montreal but finished sixth to the winner, Hasley Crawford of Trinidad and Tobago. Goodbye to Cedrick Hardman at the age of 70. Hardman played ten years for the San Francisco 49ers after the defensive end was their first-round selection in 1970. Hardman holds the 49ers record for sacks with 107, although the NFL didn't officially recognize the sack as an official statistic until 1982 and also is the team record holder for sacks in a season with 18 in 1971. Hardman was part of the 49ers "Gold Rush" in 1976, which harassed quarterbacks relentlessly including this game against the Rams that saw the 49ers sack Rams quarterback James Harris ten times against a Rams offensive line that included hall of famer Tom Mack and future Pro Bowlers Rich Saul, Doug France, and Dennis Harrah. Hardman would play two seasons for the Raiders and was part of their 1980 Super Bowl champions before retiring for one year before a one year return with the USFL Oakland Invaders as a player/coach. Goodbye to Joe Bellino at the age of 81. Bellino won the 1960 Heisman Trophy as a running back that also punted and scored touchdowns as a runner, receiver, and passer for Navy. Due to Bellino's five year military commitment, Bellino would not debut as a professional until 1965 when he would join the then-Boston Patriots for three seasons that he spent mostly as a kick returner. Bellino would score only one professional touchdown and would total only 213 yards combined in those three seasons as a rusher and receiver. With my final pick, I was thinking about taking another lower level player to develop and hope for an impact player. However, one player stood out as in "Why is this guy still on the board"? I mean really, it seemed like he had been taken, but I scanned the results and nope, still available. I was surprised, but I also was hoping for a younger, albeit riskier, player, but in the end class and performance won out as I finished the draft with the selection of Elehuris Montero, a third baseman from the St.Louis Cardinal system. The 20-year-old Montero hit .322 with 15 homers and 69 RBI in 103 for Low A Peoria in 103 games before a promotion to High A Palm Beach for the final 24 games where he hit .298 with a homer. Montero is one of three excellent young third base prospects with the Cardinals along with 2018 first rounder Nolan Gorman and international signee Malcolm Nunez, so it's not out of the question that Montero could be a trade piece near the deadline, should the Cardinals be in playoff contention. Montero is from the Dominican Republic and was noted by Baseball America to have "Plus raw power" "bat speed to overcome swing holes" and could be an eventual "25 to 30 homer with a steady average player". Montero's defensive position is less certain as some scouts think he could stay at third as an average defender with work, while others think he will wind up at first base or even possibly left field. Montero won the Midwest League MVP last season and was expected to be assigned back at High A Palm Beach where he finished last season, but was challenged with advancement to AA Springfield to start 2019. It'll be interesting to see if Montero zooms up the prospect charts if he plays well at 20 (turns 21 in August) in the Texas League, but should he do there what he did in Peoria, Elehuris Montero will be a name that you hear often not only around the trade deadline but in the 2021 Hot Stove League as well. The fantasy draft was nearing its end and fewer teams still had selections remaining, so there were only a handful of players taken between my fourth-round pick, Luis Patino and my looming pick in the fifth round. With two rounds to go, I usually like to take players that are lower in team systems with very high upside. When you are taking a chance on a prospect of that type, it's preferable to do so later in the draft, so if the player struggles, you are more likely to cut bait faster and not keep him around. I had a handful of players on my post-it with this type of background and level to choose from and almost all of them were still on the board- only one had been taken. I looked over them closely and decided to take the one that had the highest upside, but having the least experience, was carrying the highest risk. 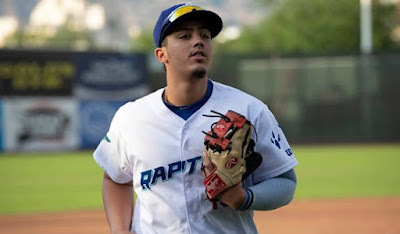 In the fifth round, I didn't look at it as extremely risky with a lower rounder when I selected 19 year third baseman Miguel Vargas of the Dodgers. Vargas played 22 games with Rookie-level Ogden of the Pioneer League, where Vargas raked to a .394 2 homers 22 RBI tune and an OPS over a thousand before moving to Low A Great Lakes. With the Loons, Vargas didn't hit as well in hitting only. 216 without a homer and struck out in 20 of his 75 at-bats. Vargas is the son of one of Cuba's greatest baseball legends, Lazaro Vargas, who played 22 seasons for the Cuban national team and won two Olympic gold's with that national team. The 6'3 Vargas signed for $300,000 and is expected to may have to eventually shift to first, but is thought to have plus power and line drive potential once he fills into his still growing body. Vargas needs work on pulling the ball for power and if he is going to stay at third base reports say he'll have to keep from gaining weight as he is said to have "Slow Twitch" reflexes, although good hands defensively. Miguel Vargas has the pedigree and background for success but comes with some questions as most younger Cuban prospects have about the competition level that they have faced along with the adjustment of moving to the USA. 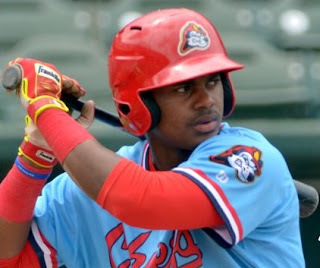 Still, his bat looks like it has the chance to be special and was worth taking a chance on at this time of the draft. I'll finish the draft series sometime on a slow day and I'll try to keep updates through the season on how the system is doing. Minneapolis isn't known as a huge boxing town, but the PBC has been running cards more often in the northern city and the two main events were not only boxing challenge bouts, but more importantly- two title eliminators brought to you by the IBF and the people that might have the fairest manner of determining their mandatory challenge and yet consistently seems to have the worst mandatory contenders. The bout that actually was completed saw Sergiy Dereyvanchenko defeat Jack Culcay by a close and unanimous decision to become the IBF's mandatory contender to the winner of the May 4th unification match between Canelo Alvarez and Daniel Jacobs. Jacobs currently holds the IBF title after winning the vacant championship via split decision over Dereyvanchenko but is an underdog against Alvarez for their fight. The rugged Dereyvanchenko was expected to walk down and wear down the naturally smaller Culcay, who has spent most of his career at junior middleweight, but it was Culcay that was rallying later in the fight and staggered Derevyvanchenko in the tenth, almost knocking him down and pulled even on my card after ten rounds. That was all Culcay seemed to have left as it was then Derevyanchenko winning the final two rounds, the twelfth by a sizable margin to win 115-113 on my card. Derevyanchenko will give anyone a rugged fight and against the right fighter on the right night could pull an upset, while Culcay continues a run of coming very close in surprisingly entertaining fights and losing close decisions (Demetrius Andrade, Maciej Sulecki, and Dereyvanchenko) in them. The main event was supposed to determine who would become the IBF's mandatory contender to their super middleweight champion Caleb Plant with former IBF champion Caleb Truax (PBC owns the market of super middleweight Caleb's) battling former WBO middleweight titleholder Peter Quillin. The battle of the Caleb's or Plant-Quillin will have to wait as a clash of heads in round two opened a deep cut over Truax's eye/nose that forced a no-contest. I suppose there could be a rematch, Plant could make an optional defense or the IBF could make their current highest rated contender Germany's Vincent Feigenbutz the mandatory contender for Plant, but when it comes to sanctioning bodies, trying to figure them out can be maddening. In the boxing challenge, Ramon Malpica earned two points for Sergiy Dereyvanchenko's victory to my one and shaved a point off my lead. My current lead is 79-71. This will be part of a two post boxing challenge as I type from the bumpy road home from West Virginia and I have yet to see the FS1 fights from Saturday, so I'll try to give an update on those tonight or tomorrow. Friday saw the return of Vasyl Lomachenko as he destroyed former WBA champion Anthony Crolla in stopping him with one right hand in the fourth round in Los Angeles to retain his WBA and WBO lightweight titles. Lomachenko looked to be completely healed from his shoulder injury in 2018 and at peak form after dominating but not quite as sharp against Jose Pedraza in his last fight following the surgery. Lomachenko dominated every round and almost halted Crolla in the third when Crolla was called for a technical knockdown when his bottom rested on a rope which kept him from falling to the floor. 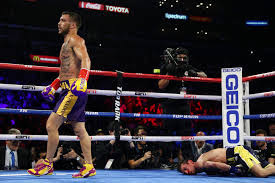 Lomachenko celebrated and members of the California commission entered the ring as well thinking the bout was concluded before being told of the knockdown call by referee Jack Reiss and being chased from the ring. With seconds remaining, Crolla made it to the bell but was living on borrowed time and that time was only fifty-eight seconds when Lomachenko smashed Crolla with a right that sent him face down on the canvas, where Jack Reiss may have counted to one before waving the fight off. Lomachenko broke a knuckle on his right hand with the punch that ended the fight but is still expected to defend his titles as expected in September, possibly in a unification event against IBF champion Richard Commey although Commey may decide for another bout due to his own hand issues and the unification could wait until December. The fight most would want to see for Lomachenko would be unifying against the other lightweight champion Mikey Garcia, but that continues to be unlikely until 2020 at the earliest. The ESPN card also would see the light heavyweight debut of WBO super middleweight champion Gilberto Ramirez against journeyman Tommy Karpency and Ramirez looked more impressive than he has in recent fights at 168 pounds. Ramirez won every round in dominant fashion and a body shot that broke the ribs of Karpency caused the veteran to not come out of his corner after the fourth round. Ramirez could return to super middle for a rumored title unification fight against WBA champion Callum Smith or go after one of the three champions that Top Rank promotes at light heavyweight. 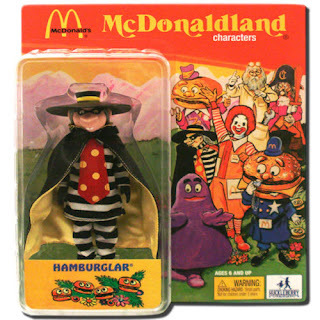 Meanwhile, in Monterrey, Mexico on DAZN, the Hamburglar made an appearance as heavily favored Jaime Munguia kept his WBO junior middleweight belt by a controversial majority decision over lightly regarded Irishman Dennis Hogan, who fights out of Australia. Hogan started quickly, banked some early rounds and surprisingly considering the reputation of Munguia as a puncher, landed the harder shots throughout the bout. Munguia did rally late in the fight and the final three rounds were filled with toe to toe action, so Munguia did manage to make the fight close and I could maybe see a draw if you gave Munguia a close round or two someplace, but I had Hogan a 7-5 winner (115-113) and that may have been mildly generous to the champion, who certainly was given the benefit of the doubt in his home country. Munguia should give Hogan a rematch, should he stay at 154, but weight problems may have to send him to 160, where his struggles in his last two fights make me think that he may be caught between a rock and a hard place- Stay at 154 and allow that problems making the weight are causing problems with fighters that he should outclass, move to 160, where the weight should be easier on him physically, but a talented class could take advantage of his still being green against top competition. In the boxing challenge, I added six points (three from Ramirez, two from Lomachenko and one from Munguia) to Ramon Malpica's four (two from Ramirez, one each from Lomachenko and Munguia) to move my lead to 78-69. Back tomorrow with a look at the PBC on FS1 card, which I haven't watched yet. The inbox is bursting at the seams and I'm going to start the chore of cleaning with an only baseball edition. Fred Landucci sends me this very poignant article from the Los Angeles Times on the tenth anniversary of the tragic death of local star and Angels pitcher Nick Adenhart from a drunk driver hitting the vehicle he was riding in. 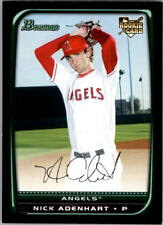 Former Angel teammates are spoken with and Adenhart is remembered by other members of the organization as well. The article also discusses the tragedy with the driver of that vehicle, who serves a 50-year prison sentence, who offers the standard cliche's used by people that have caused such senseless deaths. I hope that person is sincere and I couldn't imagine what he has to live with, but in these situations, it's usually all about ministries these folks are involved in or other such works and that's all well and good, but it always smacks of a working rehabilitation in the eyes of others- even if it could be true. 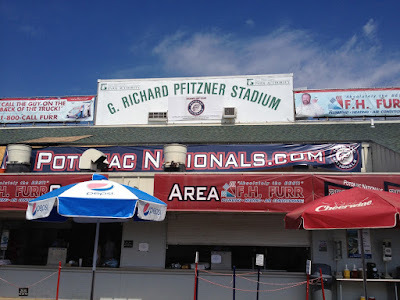 We move to the Athletic for what I could not recommend higher with an article by Emily Waldon on the conditions of minor league baseball for the players that play there. I know that the Athletic is behind a paywall, but if you can or would take advantage of a trial run sometime, consider checking this out. Baseball may be glamorous, but the minors are certainly not and even at AAA where cities that host major league teams in other sports, the conditions aren't great with the increased cost of living. The wages that minor league players are paid (other than a signing bonus when they sign their first contract, which is where the real money is until the big leagues are reached) is downright paltry when you consider the expenses of living the dream. The article is extensive, so I'm not going to get into details, but they are certainly there. I know many of us would like to think that with the skills to play pro baseball, we would pay our dues, but would we really all things considered if we were not sure the gold at the rainbow was within reach? Another Athletic piece discusses the 25th anniversary of Jacobs (don't call it Progressive) field in Cleveland. This article writes of the dreariness of old Cleveland Municipal Stadium, the process of what it took to be able to build the Indians the Jake, the rumors of where they could have been headed had a vote for a stadium tax failed and the pomp and circumstance of the home opener where the soon to be contending Tribe faced off against the most feared pitcher in the game- Seattle's future Hall of Famer Randy Johnson. Veteran baseball writer Marty Noble writes on the website of another longtime baseball writer, Murray Chass about his conflicting thoughts on another Hall of Fame pitcher Tom Seaver. Seaver always had an almost regal aura about him that came off at times as condescending on television (I've never met Seaver) and the article shows that to be true, although it appeared that Seaver mellowed with age. After a weekend without anything meeting the exacting standards of the boxing challenge, this weekend roars back with a vengeance with cards on ESPN+, DAZN, and FS1 before arguably even larger events over the following three weekends! 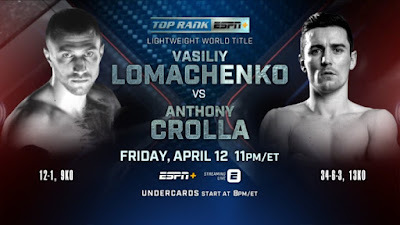 ESPN+ has one of the top pound for pound fighters in the world headlining their show as Vasyl Lomachenko defends his WBA and WBO lightweight titles against former WBA champion and mandatory contender Anthony Crolla Friday night from Los Angeles. Lomachenko had been hoping to add another championship from IBF titlist Richard Commey, but when Commey dealt with a hand injury after his title-winning performance, the WBA stepped in to mandate their top contender in Crolla immediately. While Crolla is a former champion, a top ten fighter in the division and acquitted himself well in losing his title and in the subsequent rematch against Lomachenko victim Jorge Linares. there is a world of difference in talent between these two and even though I wouldn't say Crolla is an undeserving challenger in a less than strong division, this is still a match between two different levels of lightweights. The co-feature brings the move up to light heavyweight of WBO super middleweight champion Gilberto Ramirez against former title challenger Tommy Karpency. If you thought the difference in talent between Lomachenko and Crolla was large, the comparison of Ramirez and Karpency is downright canyon-like. Ramirez was expected to vacate his 168-pound championship after a victory, but rumors are flying of a return to the division for a big unification fight against WBA champion Callum Smith in Great Britain. Saturday night on DAZN will have the WBO junior middleweight title on the line from Monterrey Mexico as young champion Jaime Munguia defends against mandatory contender Dennis Hogan of Australia. Munguia looks to be far too big and strong for Hogan, who lost to the only world class opponent he's met in Jack Culcay and with only seven KO's in thirty wins, doesn't seem to have anywhere near the power to keep Mungia off of him. In other words, it's a borderline squash and yet against the number one contender,bleech. Fox Sports One has the better Saturday bouts with two IBF title eliminators with both fights have the ability to be decent affairs. In an eliminator for the 168-pound title of Caleb Plant, former IBF champion Caleb Truax faces former WBO middleweight champion, Peter Quillin. Quillin, who has been basically inactive since his 2015 one round loss to Daniel Jacobs in fighting only twice since should have the advantage in talent against Truax, who upset James DeGale to win this very title in December 2017, only to lose the rematch a few months later. The questions are these- how much has Quillin lost by not fighting and does Truax, who has been more active, but other than the DeGale victory has beaten no one of world-class ability, have the skills to best Quillin? In a middleweight eliminator to fight the winner of the Canelo Alvarez-Daniel Jacobs title unifier in a few weeks, Sergiy Dereyvanchenko battles the aforementioned Jack Culcay. The aggressive Dereyvanchenko lost a split decision to Jacobs for the vacant IBF title in a very fan friendly fight and no matter who wins the Alvarez-Jacobs fight, a fight vs Dereyvanchenko could be a fun fight to watch. In order to get there, however, Dereyvanchenko will have to get by Culcay, who lost a split decision to WBO middleweight champion Demetrius Andrade and defeated the previously mentioned Dennis Hogan before losing a unanimous decision to Macjej Sulecki in an excellent fight. This could be a very good fight, but I think the stronger Dereyvanchenko wears down Culcay late and pulls away on the scorecards. The Southeastern Conference performed well in the 2018-19 basketball season as the SEC placed seven teams in the "Big Dance", four of those survived until the Sweet 16 and were a controversial foul away from Auburn playing on Monday night for the national championship. However, even in the best of years, someone has to be the weak sister that gets sand kicked in their faces and as teams have to finish at the top of league play there are teams that have to finish at the bottom as well. Four of those teams decided to make head coaching changes and each decided to hire successful coaches, but from different backgrounds as their hire. Alabama replaced NBA veteran Avery Johnson with Buffalo's Nate Oats, who had been very successful in making his Buffalo Bulls the bully of the Mid-American Conference in winning three of the four MAC tournaments under his watch and averaging 84 points a game last season. Texas A&M decided to go with the more proven veteran as the Aggies swapped Billy Kennedy with Buzz Williams, who had won over 20 games in each of the last four seasons at Virginia Tech. Vanderbilt released Bryce Drew and hired Jerry Stackhouse, a former NBA star that had served as an NBA assistant, but has never been a head coach at any level or coached at any college ever. That left Arkansas and they hired a coach that blends all of the best qualities of the above three coaches and might give them the best of them all. Eric Musselman has the NBA experience of Stackhouse (including a head coaching stint with the Warriors), the program building of Williams and the upbeat style of play of Oats and his hiring at the University of Arkansas seems to me to be a situation where the second choice is actually the better choice. Arkansas had shown interest in Houston coach Kelvin Sampson, but with the continuing investment in Cougar sports by booster Lorenzo Fertitta, the Cougars don't pay their coaches like a mid-major school (as shown when they went after and grabbed Dana Holgorsen from West Virginia to head the football program) and signed Sampson to a six-year, eighteen million dollar extension to take what appeared to be the Hogs top choice off the meat market (pig pun intended). Musselman's teams at Nevada averaged 80 points a game last season, won the Mountain West three times (regular season) in four years, appeared in the NCAA three times and finished with a four-year record of 110-34. To put that into perspective, Nevada had losing records for each of the three seasons before Musselman's hiring and won only nine games in the season preceding his hiring. In four seasons, Nevada increased their PPG by twenty and came within one basket on an elite eight appearance, so the turnaround was remarkable under Musselman's guidance. Arkansas is a school that has basketball tradition, winning a national title under Nolan Richardson in 1994 and going to a Final Four under Eddie Sutton, but only occasionally have popped up with strong season since Richardson's departure in the 2001-02 campaign. Arkansas has strong facilities, is the main school in the state and for a state of its size has a better than average pool of in-state players to recruit from. Add those facts to a rabid in-state fan base and you should at minimum have a program that consistently in the top of their conference along with the capabilities of national contention. Why hasn't Arkansas been able to live up to those standards? I'm not sure, the Razorbacks appear to have everything, if not more than most schools that have been finishing ahead of them and even though I haven't seen any games recently, I've never thought that their last head coach, Mike Anderson was awful to the point of being a severe hindrance to contention. Eric Musselman will bring a fun brand of basketball to Fayetteville and will hit the recruiting trail with intensity. Musselman could use the JUCO and transfer route as he did at Nevada to give the program an instant jolt of energy or he could attempt to leap into the Arkansas recruiting class to immediately establish his credibility with the high school coaches of the state, but Musselman recruited nationally at Nevada and he'll have a larger and more visible platform at Arkansas to recruit from. The other three SEC newcomers may have bigger names from their playing days, bigger coaching names from a Power Five school or even the hot young coach from a mid-major, but I have a feeling Arkansas just may have added the best of all to their bench and the Hogs will be returning to prominence in the next two to three seasons, if not sooner. 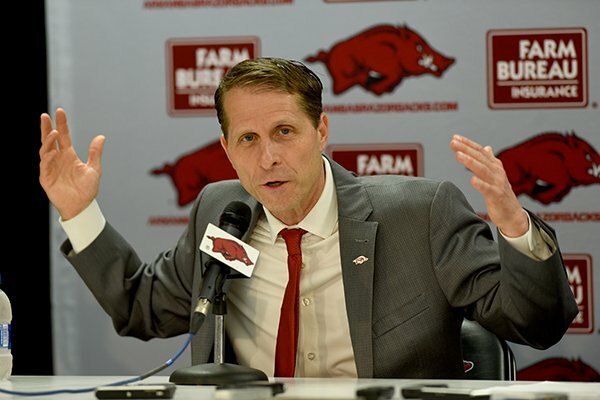 The energy and enthusiasm will be contagious in the Fayetteville area and I'm just glad that I can kick back and root for Arkansas without the worries of Eric Musselman coaching a team in Big Ten or Big East play! For the second time in three years, the New Jersey Devils managed to summon some luck and vault into the first overall selection in the NHL Draft in June. 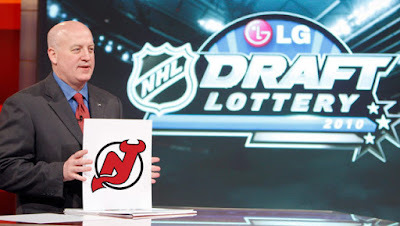 The Devils, who finished with the league's third-worst record this past season, leaped over the Los Angeles Kings and the Colorado Avalanche, who holds the first rounder of the Ottawa Senators in June's draft, to grab the first pick. These things always come down to luck, but this really came down to luck, but luck on the ice. Rewind the tape a few days to Saturday and the final game of the regular season in Florida, where Travis Zajac scored the game-winning goal in overtime against the Florida Panthers. Had the Devils lost that game in Florida, they would have finished with the same number of points as the Los Angeles Kings and after tie-breakers were decided, the Devils would have been considered the second team in the lottery rather than the third and it would have been the Kings selecting first. Playing to win rather than lose, literally paid off this time for the New Jersey Devils and could pay off for a long time. I've written before that I didn't watch a lot of hockey this past season and I think that will likely change next season as I wrote back in February, but I missed a lot of less than strong hockey in doing so, but it was that run of bad hockey that will allow the Devils to add what seems to be an impact player for the second time in three years. Who will that player be? The talk of the hockey world had been that the top player would likely be American center, Jack Hughes. The 5'10 Hughes has been noted for his top-level speed and rare ability to control the puck and make plays at top speed, which is an ability that is rarer for hockey players than one would suspect even from the best players in the world. Hughes has been described as a generational talent by some, compared to Patrick Kane by others and by still others as comparable to Auston Matthews, who was tremendously hyped entering his draft year. If Hughes is that type of player, he'll be a large linchpin of the Devils future and even if he's a little less than those comparisons, he's still going to be an All-Star for years to come. The Jack Hughes hype has been going on for close to two seasons, but suddenly there is a contender on the horizon in Finland's Kaapo Kakko, who at the same age is playing against the top players in Finland in their Elite league. Not only is the 6'2 Kakko scoring goals (22 in 45 games), he's doing it against men, which is a point in his favor. Kakko has been compared to several players, but the one that I've seen most often have been with fellow Finn Patrik Laine, who scored 30 goals this season just two seasons after being selected by Winnipeg with the second pick in the draft. A player like Kakko would appear to be a strong fit with Nico Hischier on a line eventually and would be quite a finisher for a team that wants to continue to change a still existing image as a dull team. I've noted in the past that I usually don't know a ton about the players entering in the NHL draft, especially compared to the NFL and NBA drafts, but I'll be able to figure out a bit more than usual since I can narrow this down to two players, much as the choice two seasons ago between Nico Hischier and Nolan Patrick. Most observers then looked at the choice as so close that the decision was a toss of the coin. This one appears to be not quite as close, but not an easy choice either. Kaapo Kakko is more NHL-ready right now and should get off to a faster start to his NHL career. I do tend to follow the reports of others with younger players as they see the players more and can evaluate their competition level far better than I, so keep that in mind. In the end, I cannot see the Devils passing on Jack Hughes, especially when one considers that the Rangers also had some good lottery fortune in order to select second. Pass on Kaapo Kakko and if Hughes disappoints with Kakko becoming a star, the fans with the hockey media would understand why the choice was made, even through the disappointment. If an exciting American standout with the reported star presence of Hughes is passed up and to see Hughes become that star across the river with the Rangers, that's the type of mistake that destroys franchises. The Devils cannot afford to make that mistake. I'm pretty excited about tonight's Texas Tech attempt to win the national championship. BTW-I would have loved an OSU version, but never saw one. However, I'm not sure if I have ever mentioned my basketball fandom, which peaked in the SWC, pre-Bob Knight days when Tech dominated the waning days of the SWC with a wide-open running style of play with four players that would play in the NBA, although not star in Jason Sasser, Cory Carr, dunk master Darwin Ham and lottery selection Tony Battie. Those Red Raiders would go 30-2, make the Sweet Sixteen with a beating of North Carolina, produced one tremendous Sports Illustrated cover of Darwin Ham crushing a backboard, as a young Ryan and I watched a ton of those games through cable television and the tape trading hobby through a trader in Texas. Fox Sports Texas used an announcer named Bill Land on most of these games and his catch phrase on a big play or dunk of "HO Mama" is one I still think of a lot when watching basketball games! 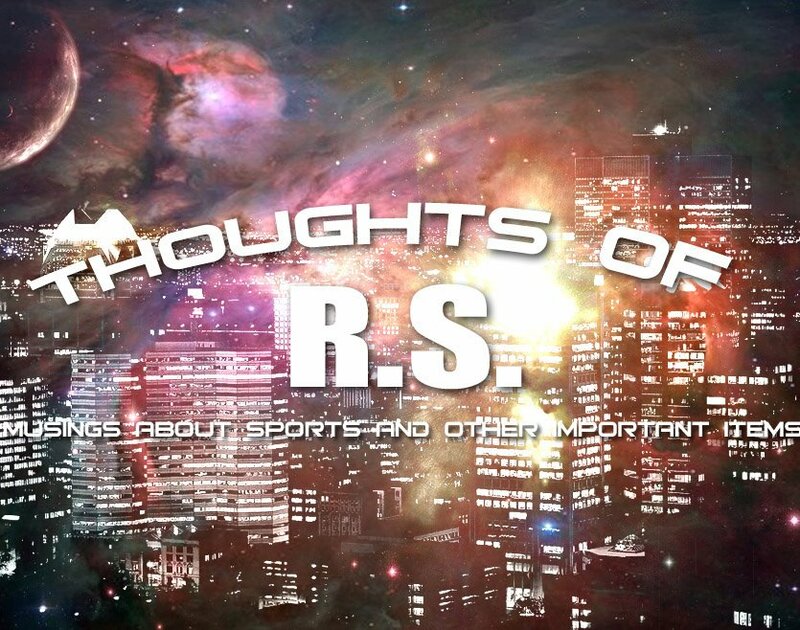 Between those tapes and a newsletter that was written by a fellow named Bill Peters named the Double T Times, I was more than an insider on Tech sports as Peters used to tell me in conversations that I was his only subscriber in the state of Maryland! Tech was coached then by James Dickey, who was an Eddie Sutton disciple and other than Tom Penders at Texas dominated the SWC. The Tech-UT games always determined the boss in the league and featured teams that would run up and down the floor. Ryan's always been a Badger fan, but I bet if you asked him about a few of those above names, he could give you some memories and maybe even a smile if he was in the right mood. Another player on those team was a guy named Lance Hughes, who looked like the kid bagging your groceries, but was a hustling type that was also quite a leaper. I often joke about certain players back then seeming like they played for nine years at their school-Lance Hughes was one of those guys, just seemed like he had been playing there forever. Tech's run would end in the Sweet Sixteen with another up and down game against Georgetown with a 98-90 loss, but looked to be set for a while entering the new Big 12. The Red Raiders won 19 games and appeared to be headed to the big dance again, but during the Big 12 tournament, a scandal emerged over several sports, including basketball. Tech removed itself from the postseason after discovering two players had played despite academic ineligibility and the resulting scholarship removals meant the destruction of the program with three losing seasons in a row and the firing of Dickey, who wouldn't be a head coach for ten years before a four year run at Houston, where it was Dickey that set the table for the current success of the Cougars under his replacement Kelvin Sampson. I always respected Bob Knight and he had success at Tech replacing Dickey with NCAA appearances and a sweet sixteen, but Knight's team played a slower game and they just weren't as fun to watch. When Tech made the tournament, I still rooted for them, but the same connections weren't there from those 90's times. Lubbock and therefore Tech has always been a tough place to recruit from for players and coaches, which is why Tech is going to have a huge problem keeping Chris Beard over the long term, no matter his protests about Tech (where he was a long time assistant to Knight) being his dream job. Unless Beard is completely honest about that (and if he is, he could make Tech the type of job that 20 years from now that a state school like Kansas is looked at today), it's likely that some traditional filled school will land him eventually. Those videotape trading days, where I would get tapes of games, coaches shows and season previews from around the country in those pre-internet days saw lots of tapes from Texas (for Tech), Ohio (OSU and various small teams) and with those shows, you would see different hosts and during those shows, you would see lots of hosts. When you deal with college teams, you would see lots of younger talent with most either just out of college or even doing such work as part of their field of study and still enrolled. One of these was a young lady named Emily Jones, who would host these previews for the various teams in Texas and the Big 12. I instantly became of fan of her work and you could see she was going to be really good in the industry no matter the capacity. I always had a feeling that despite being the host for these teams, that she was a Tech fan/supporter/student etc. I had no concrete reason for thinking that, just a feeling and years later with the internet and the MLB package, I discovered that not only had Emily made it big as the reporter during Texas Rangers games, but she was in fact, a Tech grad- a rare occasion where my feelings were correct! Looking back on sports, it's odd to have feelings more about the past than the present. That's the opposite of what so many say on how to live your life- Look forward, not back, etc. However, in sports, it's the other way around. it is the looking over your shoulder rather than down the road that makes the present mean a little more. The memories are what makes these little games important and the people you share them with, whether you know them personally or not. So, I'll be cheering hard for the Red Raiders tonight and win or lose, I'll be thinking and raising a glass of lemonade to James Dickey, those 95-96 Red Raiders, Emily Jones (now Jones-McCoy), Bill Land, those tape traders in Texas that made a guy in Maryland able to watch those games and of course Ryan, wherever they are tonight and making a usually dreary game for me involving the same college heavyweights exciting. 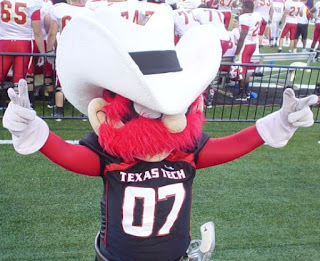 If not, for all of you, it would be just another game- Guns Up and Ho Mama- Indeed. The Cleveland Browns continued to rebuild the backside of their defense and added the veteran safety that the team had been looking for as the team signed Morgan Burnett, most recently released by the Pittsburgh Steelers, but importantly a former Green Bay Packer, to a two-year contract worth nine million dollars. 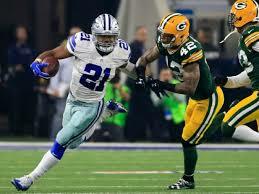 Front office residents Eliot Wolf and Alonzo Highsmith are very familiar with Burnett's play from their days in Green Bay and should Burnett return to that level of performance in Cleveland, the team should be very pleased, but there are questions. The first is- can Burnett return to his days as a Packer? Burnett was thought to be a top signing last year when the Steelers inked him to a contract, but Burnett was beaten out at safety by Pittsburgh's top draftee Terrell Edmunds and spent most of his season miscast at inside linebacker. Burnett's desire to return to safety led to a demand to be released and after the Steelers were unable to trade Burnett after attempts to do so failed, the Steelers knuckled under and did so. Burnett is an excellent tackler against the run and is among the best in the league among safeties, so if Burnett can do that at 30 years of age, the Browns have likely upgraded over the traded Jabrill Peppers in tackling, if not in athletic ability. The other issue with Burnett is durability. Burnett has not played a complete 16 game season in six years and even though Burnett only missed a few games each year, he still misses time, which makes the recent trade for Eric Murray with the Chiefs make a little more sense as if you assume that part of the package of having Burnett means that you need to prepare to be without him for a few games, so a solid backup is more than a luxury. The signing of Morgan Burnett comes with a mild risk that his year in Pittsburgh was a sign that he may not be the player that he once was, but I think it could be a motivator for Burnett and a motivated Burnett is an All-Pro level safety. I would have normally added a Burnett highlight video here, but the few that I found comes with music that just drives me nuts. 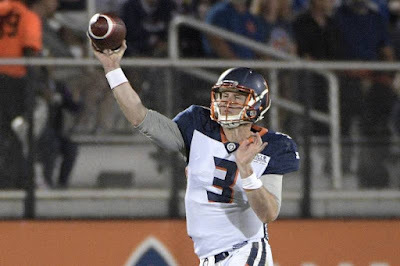 The Browns also signed an AAF alumnus in quarterback Garrett Gilbert. The 27 year old son of former NFL journeyman Gale Gilbert, who played his college football at both Texas and SMU before being a sixth-round draftee by the Rams in 2014, spent time in camps and on rosters for various teams before throwing his first three NFL passes last year for Carolina in their last game of the season after the Panthers starter in that game- third-stringer Kyle Allen was injured. Gilbert was likely to win the AAF's MVP or offensive player of the year as the signal caller for the Orlando Apollos, who won seven of their eight games with their only loss to "your" Arizona Hotshots 22-17 before the league was folded earlier this week. Under the tutelage of Steve Spurrier, Gilbert threw for over two thousand yards in those eight games with 13 touchdowns against only three interceptions in the developmental league and along with Arizona's John Wolford (Wolford threw more touchdown passes 14, but more interceptions with 7) were head and shoulders above any other passer in the league.
) 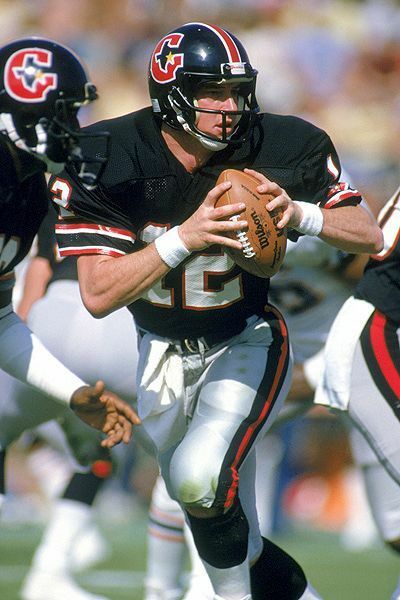 from his college coaching career and his USFL quarterbacks would only receive NFL chances in the 1987 strike games so Gilbert may have learned plenty from Spurrier, but that doesn't always convert to success in the NFL. However, I think that Gilbert has a chance to make this team and here's why- Gilbert attended the same high school (Austin Lake Travis) as Baker Mayfield, preceding Mayfield by a few years and they have a friendship dating from Mayfield's childhood when Gilbert was the top-rated quarterback recruit in the nation at Lake Travis. There is an opening with Tyrod Taylor electing to pursue free agency and it would make a lot of sense to put Gilbert, who Mayfield respects on a personal level, with Drew Stanton as the veteran mentor that has played in the league in the quarterback room to help Mayfield along in his development. It is very possible that the Browns are likely to draft a quarterback in the later rounds as a developmental project so that potential player will likely be the player that Gilbert will battle to make the Browns. Apologies to the late "American Dream" Dusty Rhodes, who had the annoying habit (at least to me) of naming every small "tour" with some sort of slogan, for the title of this post. Rhodes named one of these events the "Slam that Sucker Down" tour and I thought of that recently as I prepared for the season when a memory of a player crossed my mind that didn't enjoy signing very much would take the marker of choice and slam the marker down hard on the books that some collectors use to hold their cards in. I've never used the book and managed to fight the trend of people moving in that direction (which was not difficult to do, considering the fiasco that occurred on a trip when I tried it on a test run) ,but this particular player seemed to enjoy doing that to see if he could knock the book out of their hands. So, even though that never happened to me, the 2019 season will unofficially be named as above and I'll try to do a better job documenting the season in graphing as I did in the past. I've done a decent job in keeping the trips noted here, but the everyday stories along the circuit have been lost along the way, much as I haven't put the last two seasons cards in binders, as usual, instead of having all of them in a 5,000 count box! This was going to be our fourth visit to Altoona Pa (Again, for some stupid reason hear the Michael Hayes song "Badstreet USA" in my head, when I think Altoona PA) for the Meet the Curve night. Mike Oravec and I had gone the previous three times with Kendall Morris, but Kendall couldn't make it this time, so Mike's son John and the always chipper Fred Landucci jumped in and passed on his hometown Harrisburg Senators in order to try the Altoona version. Brett Shaw always takes care of us with tickets to the event and the team and the event host- the Casino at Lakemont does such an excellent job with the food and especially the production of the event. Everything that is held during this event is coordinated and the first event was almost exactly the same as the last one. We sat for a few minutes, were welcomed to the casino, told that it was time to eat, moved to the buffet and enjoyed dinner. After dinner, the 2019 Curve was introduced to the fans and manager Michael Ryan spoke for a few minutes before a door prize drawing for a handful of various Curve items. John was lucky enough to win one and I believe I remember him choosing a Tony Beasley (Former Curve manager) nesting doll as his prize. Nesting dolls are basically multiple pieces hollowed out tubes that are painted with a subject and each of the dolls are smaller than the others so that all can fit inside the largest of these. I have a Hawk Harrelson version that was a White Sox giveaway and they are kind of neat, although I doubt that I would collect them on a large scale. We usually leave a bit earlier before the other proceedings in order to get a good place in line. When all of those events are over, the team moves to a second-floor banquet room that they have arranged in order to sign autographs. This year's Curve isn't loaded with prospects like last year's team that starred Mitch Keller and KeBryan Hayes among a few others, but when teams don't have prospects like last year's team, the crowd is smaller and the players are more likely to sign more items. I didn't have a lot, most of the players from last season's Bradenton team set with a few hangers on from other team sets. What was a little different was that I was mildly surprised by the number of players that asked why I didn't have anything for them to sign. More often than not, the answer to that is that I have gotten their cards signed earlier from that player or that the player in question was not in a team set for a particular year. We buzzed through the line in about 25 minutes and every card that arrived with me returned signed, so it was a good night all around that was only ruined by a work snafu that saw me arrive at work only to be sent home on a scheduling error, that was discovered to be not mine and was apologized for by my boss, which was nice enough although it didn't put the money back in my pocket, haha! I always enjoy Altoona and their event as it's a great start to the season, but it also means the end of a long winter with lots of baseball ahead. Thanks again to Brett Shaw for taking care of us! If time permits, back later with the Browns addressing the safety position and even a trip to Frederick to try once again add Luis Robert for my top 100 set. Good while it lasted- AAF suspends operations. The game that I wrote about a few days ago with the Hotshots defeating San Antonio has turned out to be the final game in AAF history as it appears the man that the league brought into the AAF to shore things up a bit after two weeks has decided six weeks later to shut the league and more than likely end its existence. Carolina Hurricanes owner Tom Dundon was trying to work out a deal with the NFLPA to bring a few lower level players from each NFL team to help shore up the league's rosters and threatened to shut the league's doors without an agreement. Why this couldn't have waited until the final two weeks of the season had been concluded is one of the biggest questions that I have about all of this? 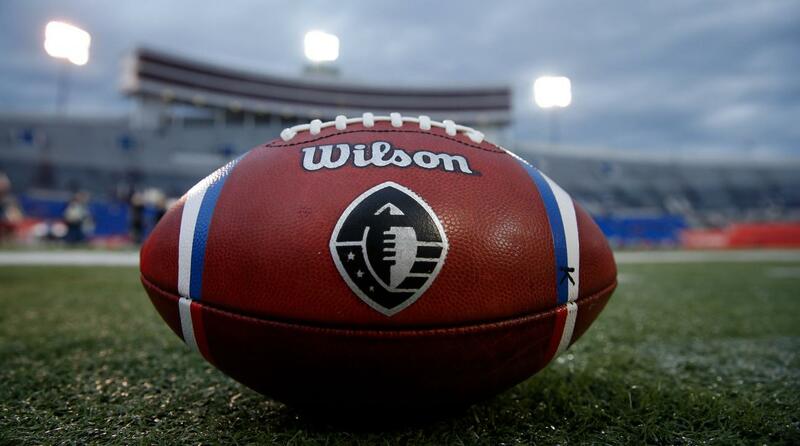 If the AAF needed this agreement with the NFLPA so badly, why immediately? I may have understood if there were six or eight games to go, but only two? And if the league financial situation was so dire, signing an NFL agreement wasn't going to change things for this season, so why eliminate these games? My biggest question of all is this- If the league wanted to continue as claimed, couldn't the league have canceled the final two weeks, held the Eastern and Western finals as Orlando and Birmingham had clinched spots in the East and Arizona and San Antonio were two games ahead of San Diego and Salt Lake with those two weeks to go, so it wouldn't have been unreasonable to match the Hotshots and Commanders for their title out West. Wouldn't a league that wanted to survive would have been better suited to claim the season a success with growing pains to play the two divisional finals and title game, even if it meant canceling the ninth and tenth weeks of the season? Plus CBS had picked up the championship game for prime time viewing and look at the exposure that would have given the league. The most plausible answer to all of this that I have seen that Dundon had no interest in the AAF, but he was more interested in the league's app which had gambling software that could be quite a money maker with gambling and fantasy football built into it. If that's the case, I can understand Dundon wanting that software for its eventual value, but what doesn't make sense is why an owner of an NHL team would willingly muddy his name so quickly in sports? Dundon's behavior in this has been reprehensible and he deserves to be the largest villain. The league didn't draw live crowds in big numbers, although San Antonio did the best job in supporting their Commanders and in my opinion, should be considered as the first XFL expansion team or even immediately, if one team that is currently in their plans drops out. The television ratings were decent enough and the league may have made a mistake giving the networks the product for free in order to prove themselves. The idea sounded good, but whatever the networks would have paid would have helped somewhat in staggering to the end. Reports are beginning to roll in about unpaid bills, players and coaches on their own to return to their home and other problems, so things were bleaker than presented, which more often than not is the case with new leagues, but the league did some positive things. I loved the Sky Judge to overrule the awful call that none of the on-field officials see and since the NFL has made the onside kick so difficult to recover, their one play "4th and 12" to keep the ball seems interesting to consider. I thought the play was better than most expected, although the long term was going to depend on how many young quarterbacks would play in the league to lift the quarterback talent because there just wasn't enough talent in the eight-team AAF at quarterback right now, let alone considering adding the XFL teams next year. I'm not sure that the league will produce any future All-Pro's, but I'm sure there will be some alumni sprinkled around the NFL next year. I'll miss the league and the Arizona Hotshots. It's always fun following these leagues and teams, even if they are destined to break your heart when they don't work out. I suppose it's now time to carve that Arizona Hotshots gravestone and set into the cemetery of TRS defunct teams that meant so much as they join the likes of the Southern California Sun, Chicago Blitz, Arizona Wranglers, Memphis Showboats, San Francisco Demons, Kentucky Colonels and Cleveland Crusaders in a place where only memories reside. Now, it's a matter of deciding what XFL team I'll be covering in ten short months. The San Francisco Giants have questions. A lot of questions, but one of them was addressed yesterday as the team added veteran outfielder Kevin Pillar from the Toronto Blue Jays in exchange for three players that weren't in the immediate plans of the tornado vortex that surrounds general manager Farhan Zaidi. The 30-year-old Pillar hit .252 last season for Toronto with 15 homers, 59 RBI and 14 steals and will earn 5.8 million this season before being arbitration eligible for the 2020 season. Pillar's bat is average at best, but he's been in double digits in homers in three of his four full seasons and in steals each of the season, so he's not awful, but he's not the type of player that will provide a large jolt of offense to the Giants outfield that is in desperate need of such a player. What Kevin Pillar does bring is this- a Gold Glove level defender that will flat out cover some ground in Oracle Park (Bear with me, it's going to take a while before that rolls right off the page naturally). Defense in Oracle's vast outfield is always going to be more important to the Giants than it would be for many other teams and the ability of Pillar to save some runs defensively will be a welcomed addition to a Giants pitching staff that looked behind them in the first week of the season to see Michael Reed (Designated for assignment to make space for Pillar) and Connor Joe in the outfield, which likely did not raise their confidence. The Giants traded three players for Pillar, minor league pitchers Juan DePaula and Derek Law along with utilityman Alen Hanson. DePaula was assigned to start the season with low A Augusta after being acquired in last August's Andrew McCutchen trade with the Yankees, while Law was at AAA Sacramento and Hanson had been designated for assignment. Law had pitched well for the Giants in 61 appearances in 2016, but struggled badly in 2017 and spent most of last season in Sacramento, so a change of scenery might have been best for him. Hanson, a one time top prospect with the Pirates, appeared to have turned his career around last season with the Giants hitting .252 with eight homers along with being able to play several positions, but with a team that is carrying two rule five players for the season in Travis Bergen and Connor Joe, roster space was at a premium. Will Kevin Pillar be the answer to contending? Hardly. but he'll be a defensive help, with an occasional homer, etc and with Gerardo Parra and Steven Duggar will form a strong defensive outfield, if not one that will remind anyone of a good hitting one. I'm a little disappointed to lose Juan DePaula, but not thoroughly upset, while Derek Law and Alen Hanson were spare parts. Back later with the demise of the AAF and my thoughts on that and the baseball season beginning last night in Altoona.